A. Kerubo Abuya is a doctoral student at Saybrook University pursuing studies in Organizational Systems. She holds a Bachelor of Education degree from the University of Nairobi, a Master of Science in Technical and Professional Communication from Southern Polytechnic State University and an MBA from Colorado State University. Kerubo has also earned professional certifications in Change Management and Project Management as well as obtained professional development training in other areas. Kerubo’s work in Management Consulting includes supporting organizations in transformation leadership, leadership development, organizational change management that includes change strategy development, planning, execution and evaluation, organizational effectiveness and institutional strengthening, communications strategy development, planning and execution, program and project management, capacity building, information technology systems implementation and process improvement initiatives, learning solutions that include instructional design, training and learning strategy development, planning, execution and evaluation, technical and professional communication as well as creating organizational cultures of collaboration, care, partnership, inclusion and learning that are change receptive, resilient and embrace diversity. Kerubo has a passion to contribute to social systems design, transformation, leadership and policy development, institutional strengthening, diversity sensitivity and cross-cultural management and competency building, women’s leadership development and empowerment, human rights advocacy with an interest in helping shift mental models that show up as cultural assumptions that impede human/social development and organizational effectiveness. 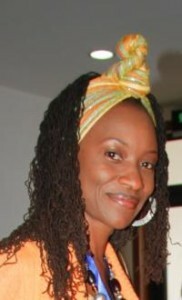 Among other interests, she is exploring how cultural assumptions come in the way of understanding, respecting, advancing human rights and cultivating democratic values – critical elements in achieving long-term and sustainable systemic social change, justice and equity for a more humane world and existence for all. Kerubo is a proud mother and takes special interest in children and women’s issues as well other marginalized groups of people in Africa and other parts of the world.